Six years ago, sitting behind a computer of a construction company, I realised I needed to do more with my life. I no longer wanted keep financial records of wealthy individuals and businesses but make an impact on positive environmental change. I knew life on our planet was under threat and I felt powerless in my position at that time. The first time I ever heard of Greenpeace was when I stumbled upon their website and immediately, I felt that connection of wanting to know more. Deep down, I knew that this was where I belonged and by helping this organisation, my life would have some sort of meaningful purpose. I romanticised with the bravery and action of Greenpeace’s ships’ crew but sadly, they would not have a need for my average accounting skills on board. 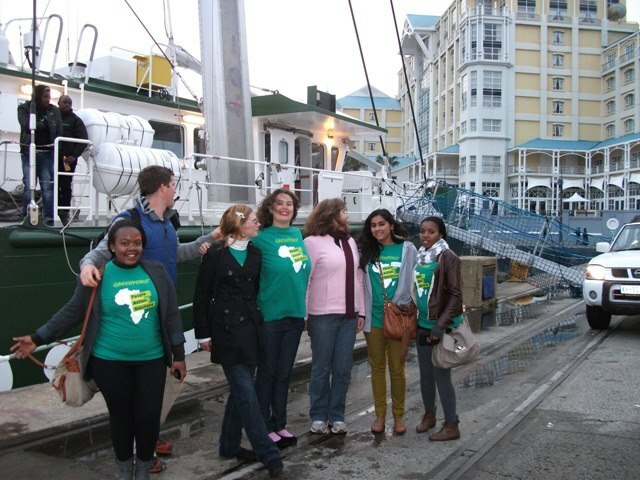 I signed up as a volunteer regardless, and did my first few hours of volunteer work when the new Rainbow Warrior docked in Cape Town harbour. I was like a child at a candy store, overwhelmed by the ship’s tall A-frame mast and multitudes of apparatus on the bridge. We, the volunteers, were educated about the ship and guided visitors on tours to view the vessel. I will never forget that day and the impact that it made on my life. 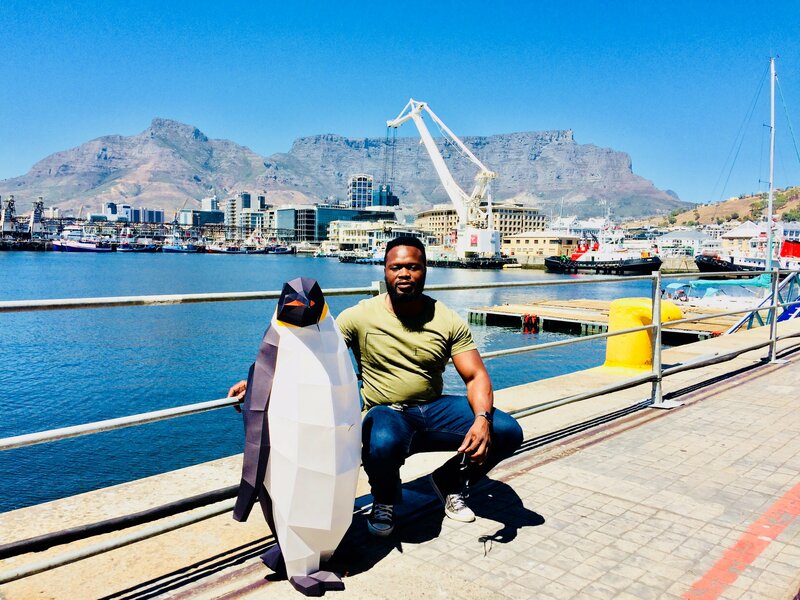 Fast forward to February 2018, Cape Town volunteers were asked to take photos with a model penguin who was on its journey from the Antarctic to various cities around the globe. 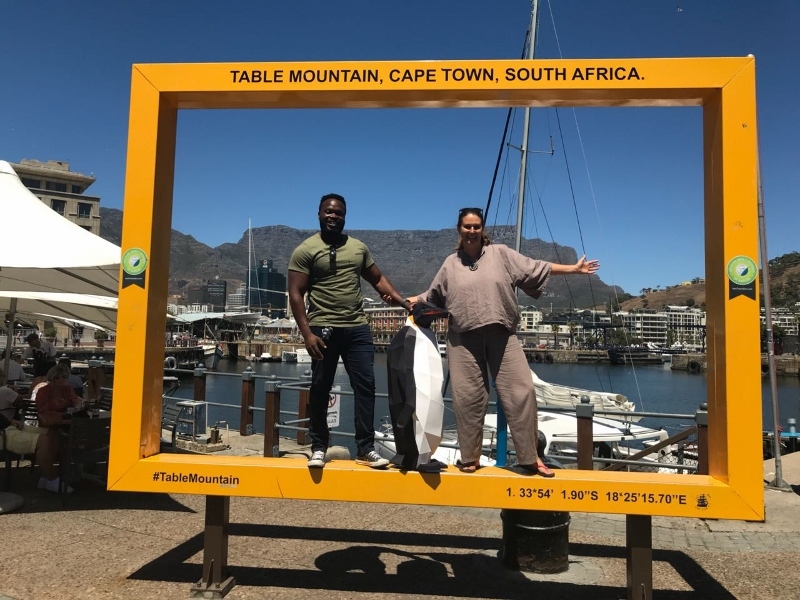 My fellow volunteer, who I attended my first climbing course with, picked me up to seek places in Cape Town that were obviously local. 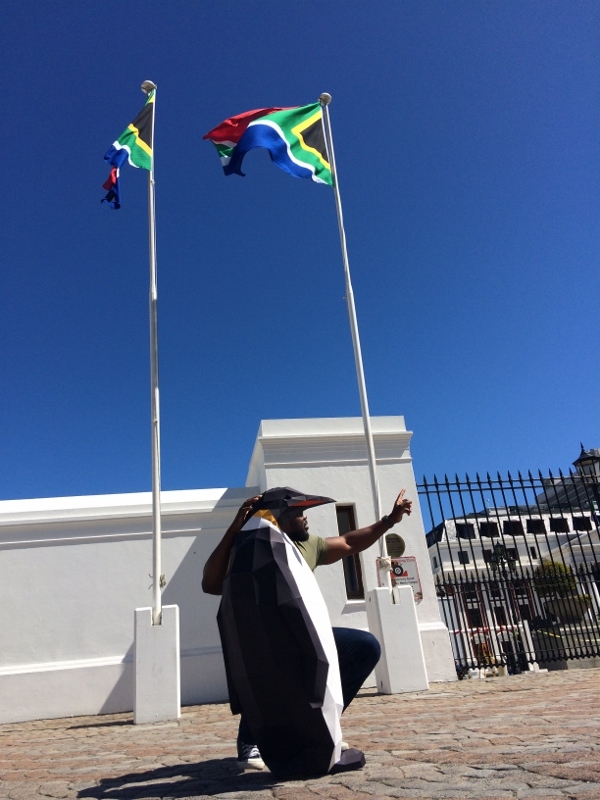 We started at Parliament, a place well known to almost every South African. Our first pictures featured the colourful and unique South African flag flying in the background. We then headed for the Victoria and Alfred Waterfront. We were somewhat apprehensive about the venue because of it’s bustling commercialism but once we arrived, we were presented with marvelous photo opportunities and soon we were clicking away at almost every angle. We wanted our Table Mountain in the some of the shots and to deliver some diversity for flavour. 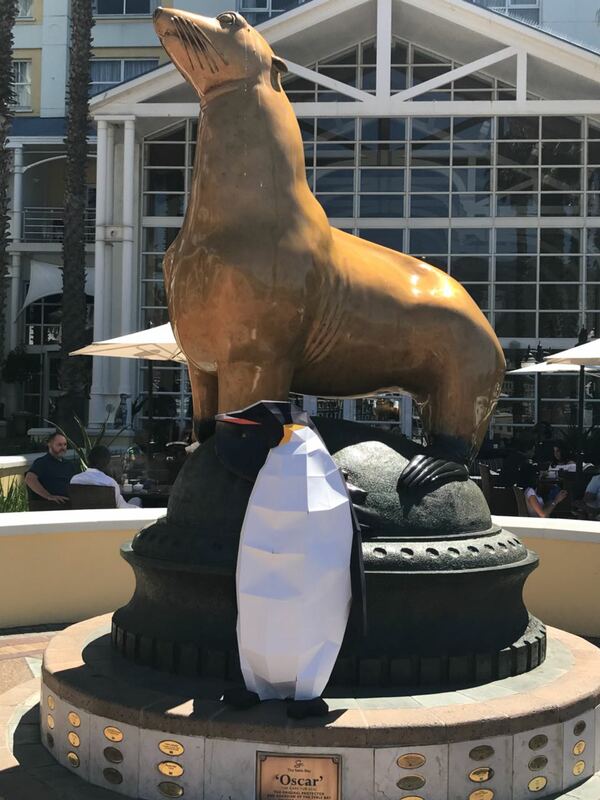 Our large penguin attracted some attention from tourists and general public. So, like me, you are probably asking yourself, ‘What is the big deal with the penguin?’ Good question! A good place to start is the type of penguin we were photographing. Our model is the King Penguin which breeds in sub antarctic islands at the northern reaches of The Antarctic. 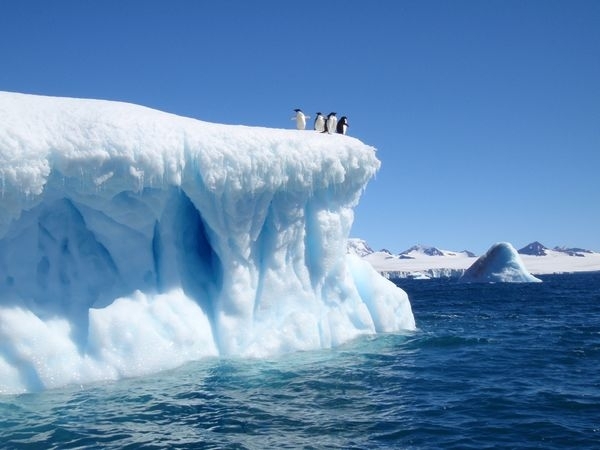 The Antarctic is a polar region encompassing the continent Antarctica and surrounding islands on the Antarctic Plate. The Antarctic is the coldest, windiest and driest continent on our planet ,with even less rainfall than the Saharan Desert. This makes the wild life there extremophiles which means that these forms of life survive extreme conditions that would be detrimental to most life on Earth. The ecosystems there are extremely sensitive to outside conditions as this continent is surrounded by water and isolated from the rest of the world. This amazing area is a biological carbon pump that regulates climate and carbon uptake. 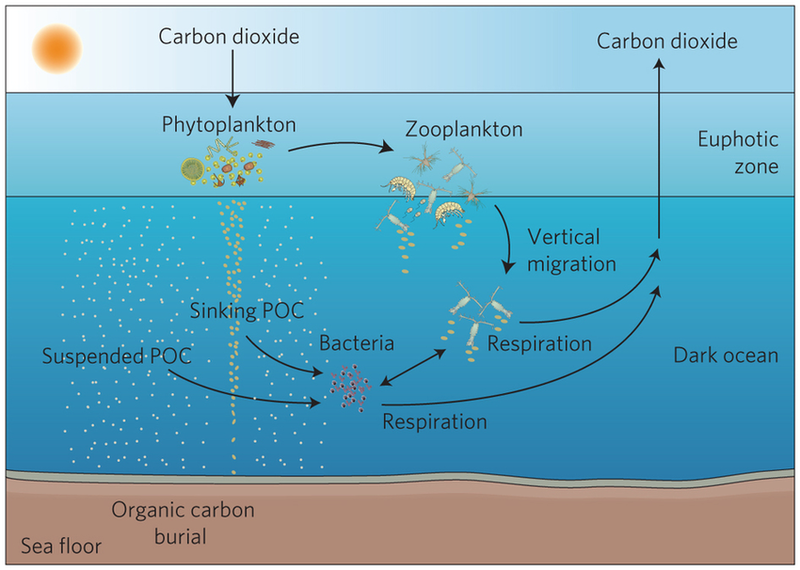 Healthy oceans soak up carbon dioxide and help us tackle climate change. It’s a no brainer that we should endeavour to keep activity in this area to a minimum. 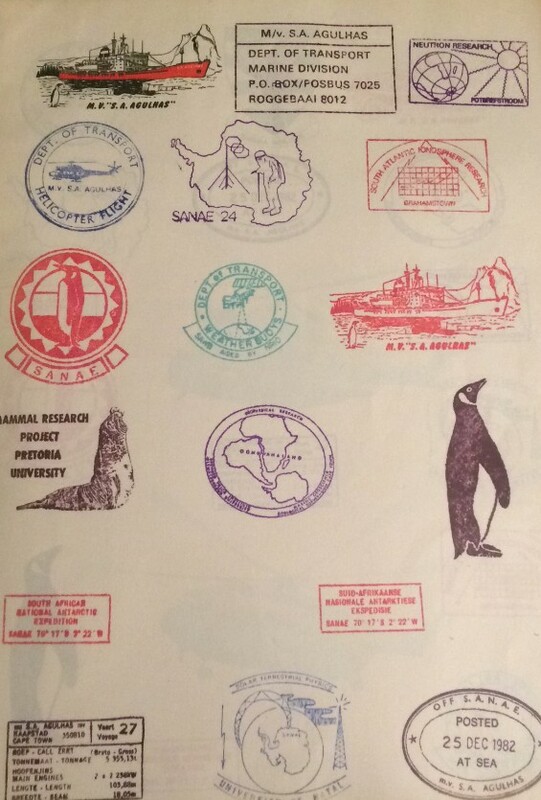 The Antarctic hosts many scientific research stations that record data for various sciences and have made extraordinary discoveries that have changed how we see our planet. These discoveries have been influential in protecting ecosystems in the Southern Ocean, regulating fishing, and banning ozone depleting chemicals. The Antarctic and Southern Ocean are facing some challenges such as krill fishing and ecotourism. Krill is a keystone species which means that it has a disproportionately large effect on its environment relative to it’s abundance. Many fish feed on krill and these fish are food sources for other animals namely our model King Penguin. 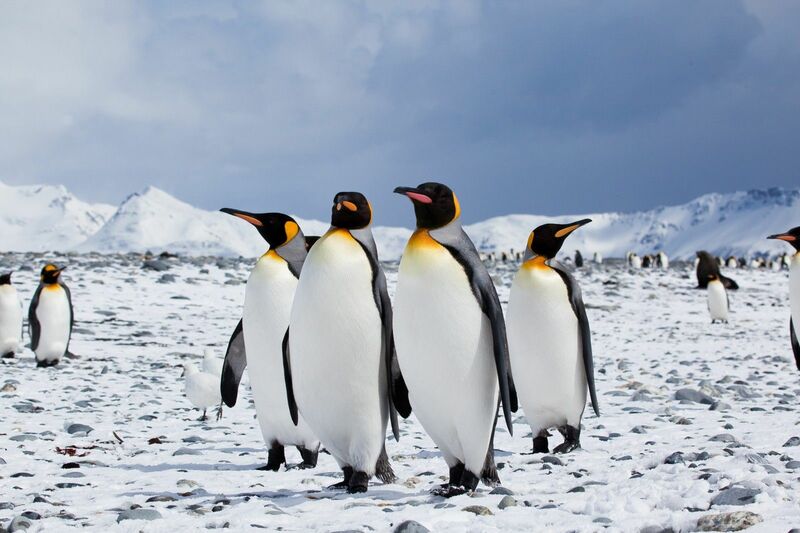 King Penguins breed on ice free islands around the Antarctic. Their chicks have a thin covering of down and rely solely on their parents for warmth and food. The central Antarctic region would be too cold for these chicks to survive. Global warming is affecting the temperature of the oceans and the fish that these penguins rely on, will swim further south in search for cooler water. This puts over one million King Penguins at risk. Females swim out into the ocean in search for food for their chicks. Due the temperature of the warming Southern Ocean, scientists are projecting that mothers will have to swim hundreds of kilometers north in search for food. The food that they bring back for their chicks, may not sustain long enough for their return home. Greenpeace have launched their Antarctic campaign in order to create an Antarctic Ocean Sanctuary which would be the largest protected area on Earth. 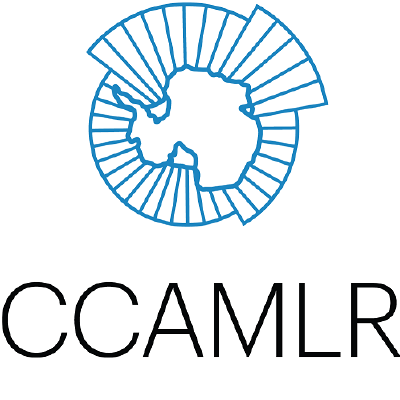 The Commission for the Conservation of Antarctic Marine Living Resources (CCAMLR) was established in 1982 by an international convention to conserve Antarctic Marine Life. This commission has 25 members and South Africa is one of them. Dr Monde Mayekiso, a South African, is in the chair position of the commission. In October 2017, the CCAMLR were unsuccessful in agreeing to provide strong marine protection in the East Antarctic. We have seven months to make an impact and create the largest protected marine area on Earth. Greenpeace is campaigning to protect 1.8 million square meters in the Weddell Sea. 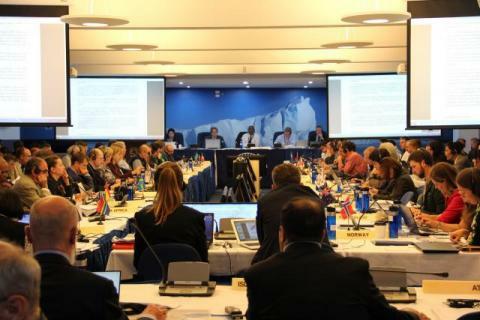 The proposal has been submitted by the European Union and is backed up by Germany and will be considered when the CCAMLR covenes again in October this year. 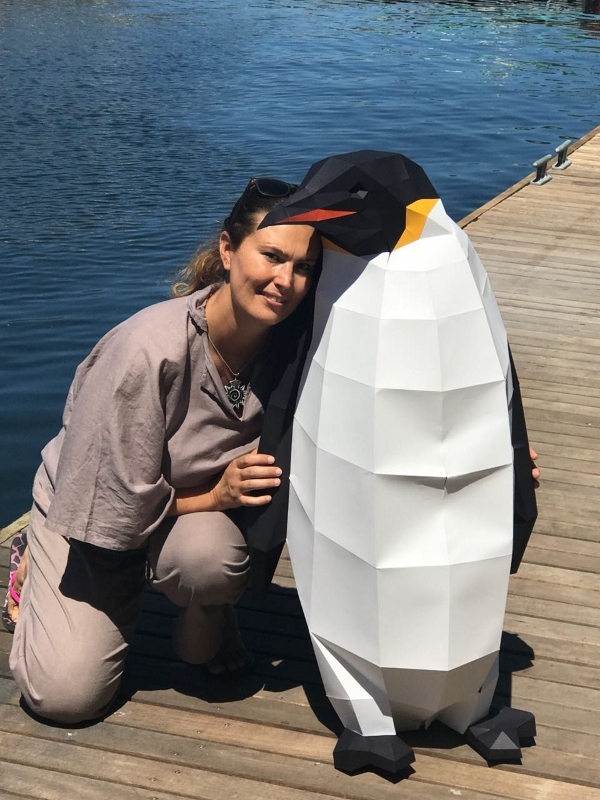 This experience of The March of the Penguins and photographing our model King Penguin has been an educational experience to learn more about our diverse planet and it’s complex systems. For me, the King Penguin symbolizes a species threatened by our activities and that like the King Penguin chick is dependent on it’s mother’s catch for survival, so is the species dependent on us to conserve the Southern Ocean and Antarctica from exploitation. I had to think long and hard about what would be an appealing article for February. There are many gardening methods and techniques that use less water than conventional methods but as Cape Town seems to be undergoing the stress of uncertainty of water, I chose to divert a little from gardening and focus on creating water. The first thing to note here is that 100 square meters of surface has the ability to catch and divert 70,000 litres of rainfall based on Cape Town’s average rainfall. 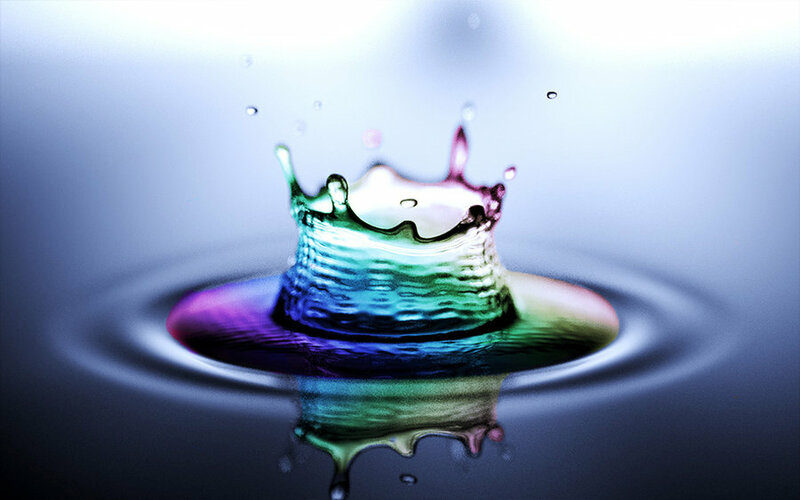 Your house could be collecting huge amounts of water without you using it! Cut your down pipes and tap into that source. Click here for more information about collecting rainwater. The next place we can look for water is all around us, the air. Mother Nature has a wonderful way of demonstrating survival tactics for difficult situations and all we need to do, is pay attention. When the sun rises in the morning, the warmer air containing a degree of humidity condenses onto surfaces that is cooler than the surrounding air. 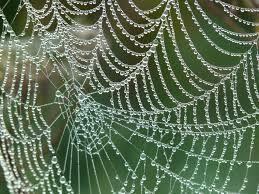 We see this as morning dew. 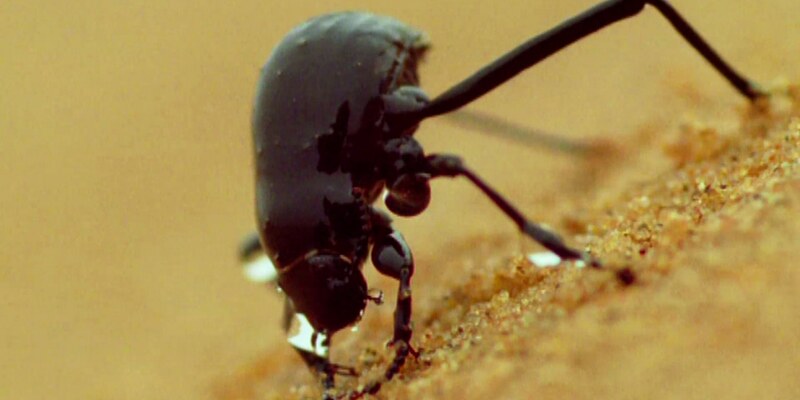 In the Namib desert, there is the Stenocara beetle that climbs up to the top of the dune and angles its body against the morning fog. The water condensates on it’s back and runs down into it’s mouth. This is how the Namib beetle hydrates itself. Depending on humidity and fog, you could collect water everyday from air. There are a number of ways that this can be done. There are things called sky wells, fog catchers, air wells and dehumidifiers. 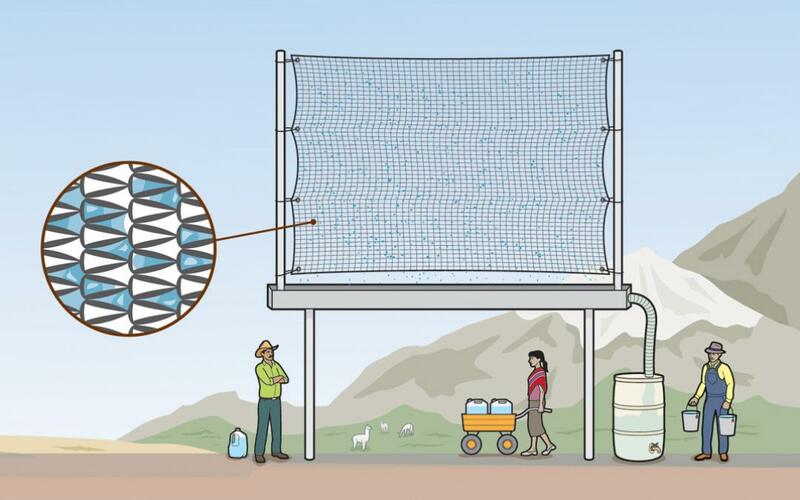 I have found a few relatively easy projects to construct in order to collect water. Each method has its pros and cons. Some are easier to construct but require electricty whilst others take more construction time but require no electricity at all. Scrap material such as foam to make a stand. Here is a video that explains how to make a dehumidifier. You can also buy dehumidifiers at various stores however you can always modify a design once you know the simple method to make one up. This is a skywell and is estimated to produce 100 litres of water a day in a relatively small space. 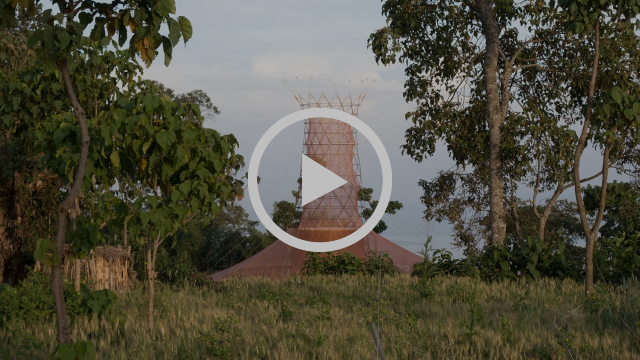 The most effective way we found of capturing water without electricity is the Warka Water Tower. The materials are inexpensive and with a little help from a community or group of people, this tower can be erected without machinery. It also provides shade and is able to generate quite a bit of water. 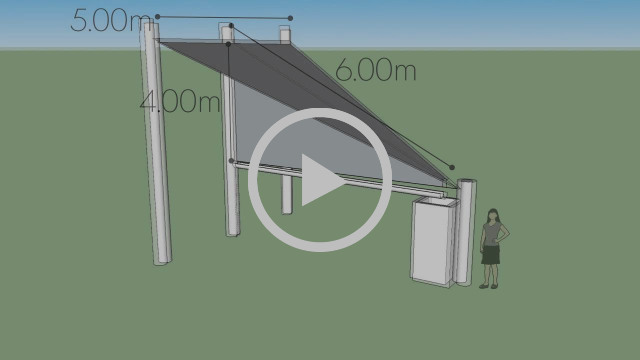 Another option would be, is to build a fog catcher and the basic design is erecting a high frame with polyolefin mesh connected in the middle as a sail. Research has shown that a fine steel mesh works better than polyolefin mesh however work with what is available and what your budget allows. The fog condensates on the mesh and falls down into a trough or gutter pipe and is diverted into a storage tank. This is easy to set up and to maintain. This picture shows a large fog catcher but you can make them smaller and put two together to meet at one side. There are many variations of designs so pick one that suits your space. I found another useful video of how to make water in the desert in an emergency with a few resources. You can watch it here. I hope that you have learnt many new ways to harvest water and I hope that this inspires some of you to come up with your own creations and solutions to day zero. How do you feel about our current sewerage system? What part of this system respects nature? Why an eco loo? The eco loo is not only sustainable but part of a regenerative solution. This compact toilet can go anywhere and be placed in any room. You don’t need any plumbing. It comes with 2 buckets of sawdust and you can use your waste and turn it into compost for your plants. This is a fantastic way to save water and to save the valuable nitrogen and other minerals that your body emits. You sit on the loo and conduct business as usual. Once a deposit is made, you cover with damp sawdust. Light a match to burn excess methane in the air or use an air freshener. Close the lid. No, not if you cover your business with damp bedding like saw dust, wood shavings or even shredded paper. Excrement must be treated responsibly. The compost pile should reach a temperature of 62 degrees celsius for an hour or 43 degrees celsius for at least a month. Once all the pathogens are killed from exposure to these temperatures caused by the slow burn of decomposition and nitrogen content, the compost will be safe once it reaches a lovely black colour with an earthy smell. 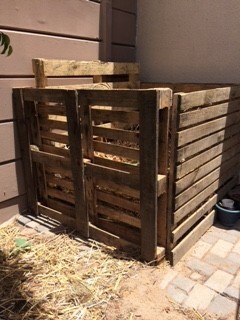 Click here for more information about composting and here for instructions on how to build a compost bin from pallets. Why is this better than a conventional loo? If used correctly, no odour which is much better than stinky ‘Let it mellow’ in conventional toilets. 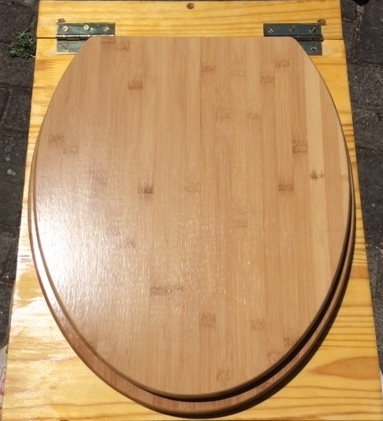 Unicorn Cafe’s toilets are made from wood, are very sturdy and come with your choice of toilet seats and wood finish. Earlier in in 2017, we started keeping all the garden waste. Branches and leaves from pruning and raking were used in our compost pile as well as saved kitchen scraps and the contents of our eco loo. While these compost piles worked well in the sense that they broke down and matured into usable compost, they did take up space and became a bit of an eyesore with a garden developing around them. We were keen on making a tidier compost bin which would create a large volume, big enough to enable the materials to heat up and cure. We used this informative video above as a guide to making ours. Now we have a big box in the corner to throw all our organic waste away in. Heirloom seeds refers to open pollinated seeds that have been handed down from generation to generation. These seeds have been preserved and kept true in a specific region. Usually a variety that is at least 40-50 years old is no longer commercially available. It is important to know how to save your heirloom seeds to preserve their overall genetic composition. Loss of genetic material can result if rains/irrigation water wets the seeds after they have begun to dry, selective seed collecting habits are employed (e.g. collecting more seeds from plants that do well in your garden) or the seeds are injured during harvest (e.g. rough treatment or overheating during drying). The following article offers some guidance on how to collect, preserve and store these seeds. How to collect Heirloom Seeds? Collect your heirloom seeds after the morning dew has dried preferably on a dry and sunny day. This usually occurs around 10:00 a.m. Make sure that your herbs, fruits, and vegetables are completely dry. Always save more seed than you think you may need and save equal amounts of seed from each healthy plant. Saving seeds from each plant ensures that all the traits of the type of herbs/fruits/vegetables are preserved and saving equal amounts of seed from each plant ensures that the original balance and range of traits is preserved. How to preserve Heirloom Seeds? Fruits that have seeds in their pulp are best picked when the fruit is fully ripe and turning soft (but not rotting). These include tomatoes, eggplants, melons, chillies, and passion fruit. However, some fruits are best picked when the seeds have had time to plump up, that is, just after maturity. These include red and green peppers, butternut, gem squash, pumpkin, and marrows. Some fruit seeds need to fully mature before being harvested. This excludes a further 3 weeks before the seeds are ready to be picked. These include cucumbers, zucchinis, okra, and sweet corn. Broad beans, runner beans, bush beans and maize should completely dry out on the plant before being harvested. If rain is forecasted, the seed heads and pods should be removed and placed in a well-ventilated, dry area until the seeds are hard. Note that some plants scatter their seeds as they mature. These include, carrots, parsnips, lettuce, onions, and celery. As these seed heads approach maturity, they should be placed into paper bags and shaken daily, that way the released seed falls into the bags rather than on the soil. How to clean Heirloom Seeds? Plants that scatter their seeds do not require need any attention. They are clean and dry and just need to be harvested and stored. However, some seeds are fleshy, that is, they surrounded by pulp that requires removal. For example, with tomatoes you would need to scoop out the flesh with a spoon and place it in a bowl of water. Subsequently, you would need to separate the flesh and seeds by rubbing the flesh vigorously with your thumb and forefinger. Finally, you would drain the water through a sieve to catch the seeds and allow them to completely dry out on a plate (±10 days). How to store Heirloom Seeds? The genetic material of heirloom seeds can still change or be lost in storage even after proper collection and sanitation. Seeds may die if they are stored for too long or if they are stored under unfavourable storage conditions. The viability of heirloom seeds preserves their integrity. Some seeds remain viable for a long period. For example, peas, beans, cabbage, cauliflower, and brussels sprouts last for at least 3 years, while tomatoes squash, cucumber, and melon lasts 5 years or longer. However, other seeds are only viable for a short period. For example, corn, onion, leek, parsnip, and salsify only last for one season. You can place harvested heirloom seeds in paper bags and store them in a dark pantry or cupboard. Keep in mind that the enemies of seeds are heat, light and humidity. In addition, label your seeds indicating their type and time of harvest. Alternatively, you could store them in dark glass jars or plastic. However, seed transpiration can cause moisture build up in these containers ultimately spoiling the seeds. Thus, when storing seeds in these containers, you run the risk of your seeds going mouldy. If you use glass or plastic, then a layer of silica gel must be placed at the bottom of each container and the gel should subsequently lined with paper towels. You may then fill your jars with your seeds. The silica gel will turn from its normal blue colour to pink when the seeds start to transpire. When this happens, you will have to remove the seeds, and replace the silica gel until your seeds need to be planted. Saved heirloom seeds should be stored at a cool temperature (below 10°C/ 50°F). If you are unsure as to when you will plant your seeds again, you can store them in the fridge (in glass jars) at 5°C/41°F. After following all these tips, a germination success rate of 50%-80% can be expected when you replant your seeds. Please note that this is also dependent on the type herbs, fruits, or vegetables you are growing, climatic conditions and soil viability. All good soils may be alike but each type of poor soil is poor in it’s own unique way. Some plants thrive in poor soil but what kind of plants thrive in what kind of poor soil is worth investigating when you know what kind of soil you are dealing with. If you are struggling to grow a variety of plants, it’s a good idea to get your soil tested and understand the pH, type of soil and whether you have an imbalance of nutrients. 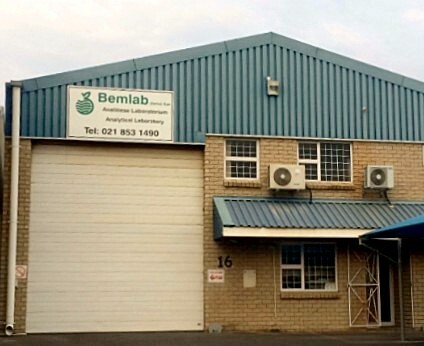 Bemlab in Strand will do a soil test for about R250 and assist by also giving an analysis interpretation. If you have a small yard like me, you only need one soil sample. If you have stoney soil, you will need 1kg. For other soils, 500g will be sufficient. Using a spade, dig out a sample of soil going the length of the spade (about 30cm deep). I knew our soil wasn’t good but I wanted to see specifics so I have an idea of where I am starting from. Although I have been adding compost, liquid fertiliser and mulch over the past year, I decided to take a sample from soil that I haven’t treated. 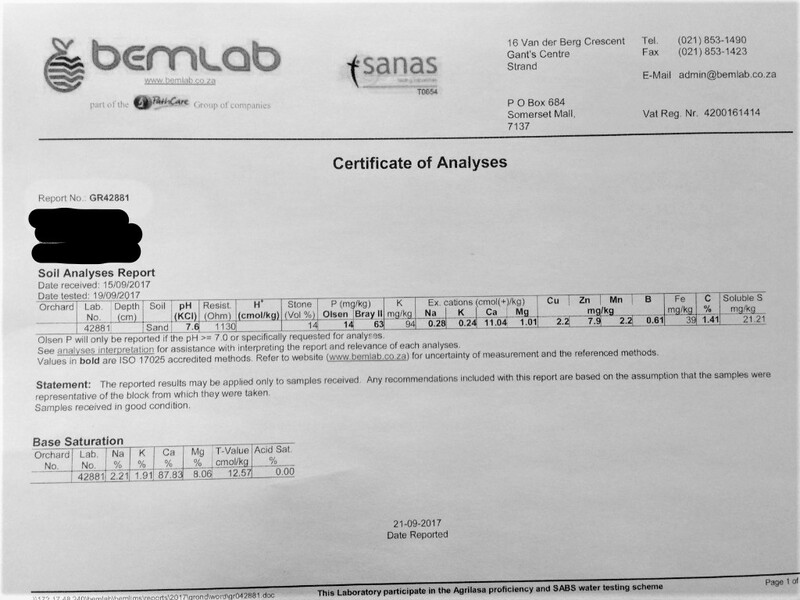 The first thing Bemab analyzes here on this test is the type of soil texture class which is either sand, loam or clay. The ideal type being loam. Here, my soil type is sand which means it is well aerated, well drained and fairly easy to work with however water tends to flush through sandy soils and so it makes sense to to try gardening with sunken pits as I have done in our time of drought. The best advice I can give to sandy or clay soil is to add lots of organic matter. The second part of the test is the pH. The perfect pH for most garden soils is a pH between 6 and 7. Unless you are growing plants which like acidic soil like blueberries and azaleas, a pH of less than 6 will be an issue for plants and a pH of above 7.5 will also be an issue. My analysis states we have a pH of 7.6 which means our soil is too alkaline. We will most likely have a boron deficiency due to our high pH. 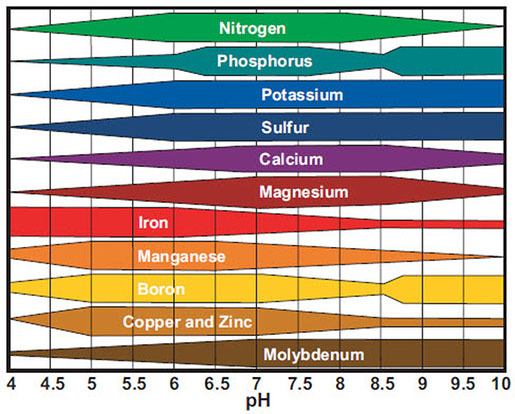 The picture below illustrates availability of nutrients to plants based on pH. If your soil is too acidic, you can ‘sweeten’ it or increase the pH by adding lime however lowering the pH is more complicated. The gardener can add sulfur which can be costly and takes a while to work. Most soil scientists only recommend adding sulfur to a garden if you are planting crops that like an acidic soil like blueberries. Again, adding lots of organic matter increases the availability of all nutrients. The next block on the test is the soil resistance which is an indication of soil salinity. Anything less than 300 ohms is regarded as saline. The next part measures the percentage of stone in the soil and stone reduces the reactive volume in the soil.This percentage must be taken into account when gypsum and lime requirements and P fertlisations calculations are done. We now look at how much phosphorus is available to a growing plant in milligrams per kilogram. There are two tests that Bemlab uses and each test is specific to the type of region where the soil sample was taken. If you come from an arid region where the pH is 7 and above, the phosphorus is mostly bound to calcium and if your pH is low, then the phosphorus would be bound to iron and aluminum. The Olsen test would be for high pH soil level and the Bray method would be for low pH soil levels. This test uses the Bray II method which tests for total phosphorus which is available in this year’s crop and also what is left in reserve which won’t be available for this year’s crop. If we are using the Olsen method, we would want our phosphorus levels to be between 15 and 20. Our score of 14 is on the low side meaning our soil needs some TLC with compost and organic matter. If you are using the the Bray test, you would want to do the Bray I or weak Bray to see how much phosphorus is available and you would want your levels to be between 20 and 30 with anything between 25 and 30 to be a good result. The Bray II or strong Bray is usually double the Bray I unless there are special conditions. 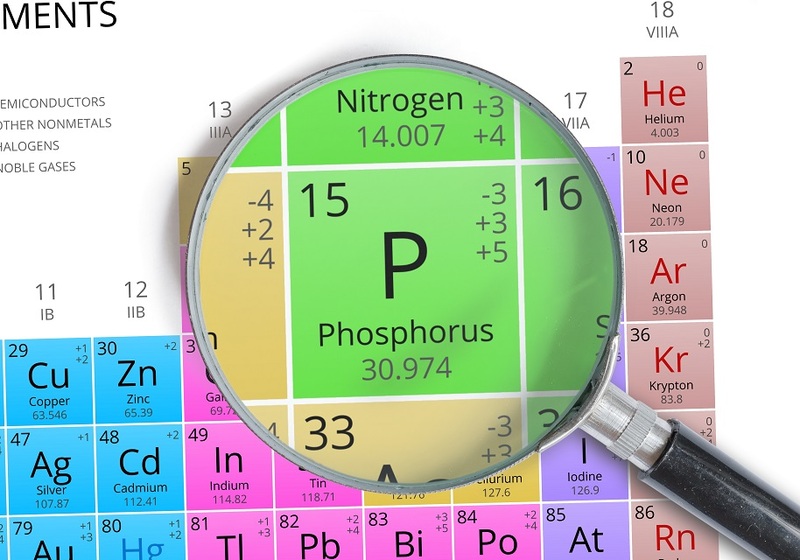 Phosphorus is essential to plant growth and is involved with energy transfer, photosynthesis, transformation of sugars and starches, nutrient movement within the plant, and transfer of genetic characteristics from one generation to the next. Phosphorus is also critical in root development, crop maturity and seed production. 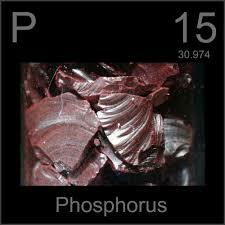 Phosphorus is an immobile nutrient meaning that it doesn’t move readily with water. 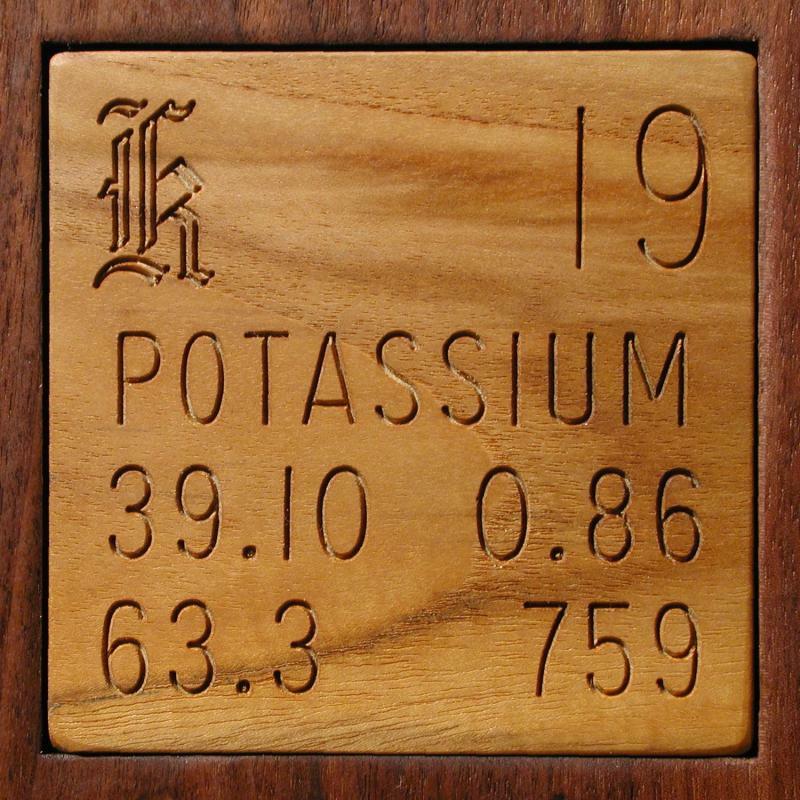 Potassium is then measured and our score of 94mg per kg is very low. Good postassium levels are around 200mg per kg however these numbers vary depending on the cation exchange of the soil and the ability of soils to hold onto these nutrients. You would want a higher number for heaveir soils (220 – 250mg per kg) and a lower number for lighter soils. As our soil is sand with a high pH, a good number would be 170 – 180 mg per kg. Potassium is very mobile in sandy soils but binds to exchange sites of clay. Potassium increases crop yield and quality. It maintains turgor, reduces water loss and wilting. Sodium is a basic cation that is a non-essential nutrient that destabilises soil structure. 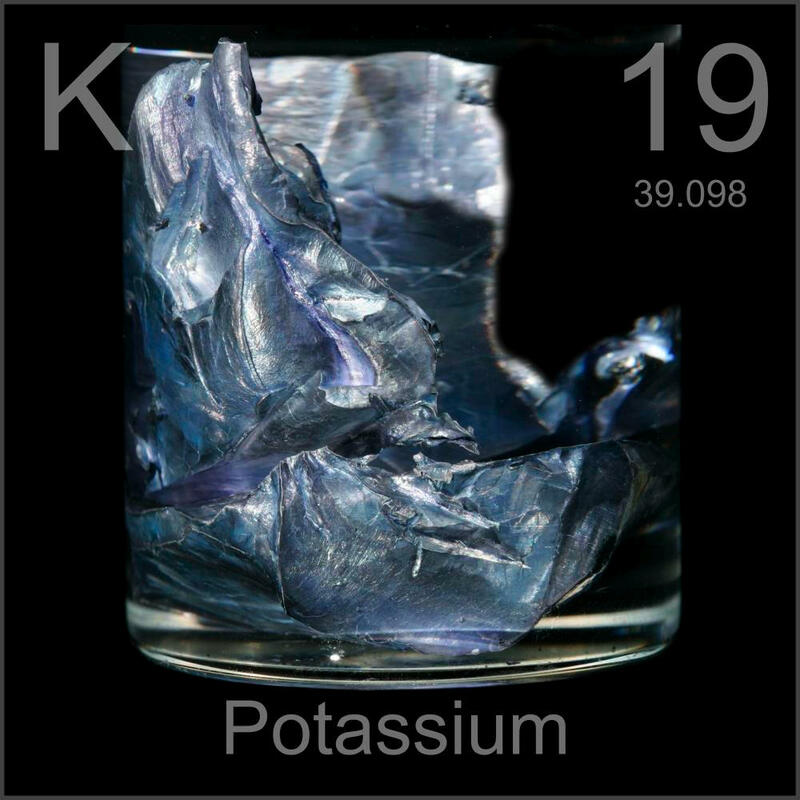 Potassium as mentioned above increases quality and yield of crops and binds to clay exchange sites. A reading of 0.510 cmol per kg or 200mg per kg is considered very high. Calcium (Ca) stabilises soil structure. Plants can tolerate very high concentrations of calcium in the soil. The role of calcium in plants is quite similar to that in people; it is essential for good growth and structure. 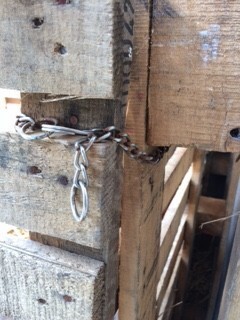 Insufficient calcium levels lead to deterioration of the cell membrane; the cells become leaky resulting in the loss of cell compounds and eventually death of the cell and plant tissue. Magnesium (Mg) is an essential element that, if it is in a ratio higher than 1:4 with calcium, can destabilise soil structure. Many critical physiological and biochemical processes, especially photosynthesis, in plants are adversely affected by Magnesium deficiency, leading to impairments in growth and yield. Ideally, we would like 12 – 15 mg per kg. Moving down the page there is a small table with a heading called Base Saturation. These cations are expressed as a percentage of the total exchangeable cations. The first result is 2.21% of soduim (Na). You don’t want this percentage to be higher than 15% and if it is higher than 1%, it might be a good idea to keep an eye on this reading if you test your soil again at a later stage. Potassium (K) saturation can change rapidly in sandy soils. In clayey soils a 4-5% saturation is regarded as optimal, except if free lime or salinity occurs. Between 3 and 6% is also good. Our score of 1.91% is not satisfactory. Calcium (Ca) stabilises soil structure. Between 65 and 75% is the optimum range and is beneficial for soil structural stability, especially in loamy or clayey soils. 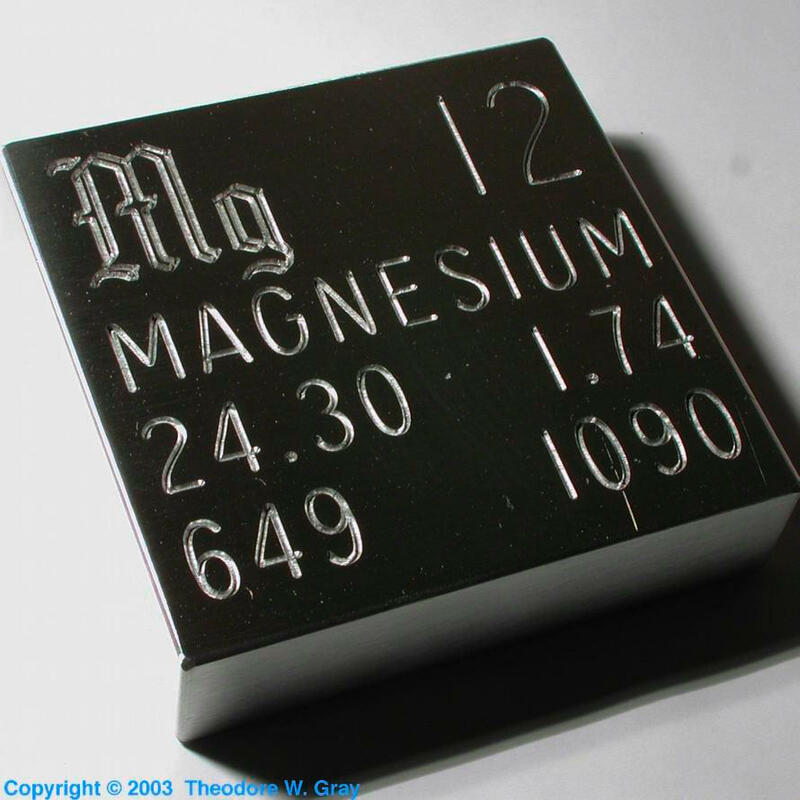 Magnesium (Mg) can destabilise soil structure. A high ratio compared to calcium (Mg:Ca ratio > 1:4) indicates to the possibility of poor internal drainage and subsoil salinity. The T-value is the sum of all the exchangeable cations in the soil, including soluble (free) and those on the exchange sites. It is not equivalent to the S-value, which is the sum of only the basic cations (Na, K, Ca & Mg) while the T-value also includes exchangeable H+ . 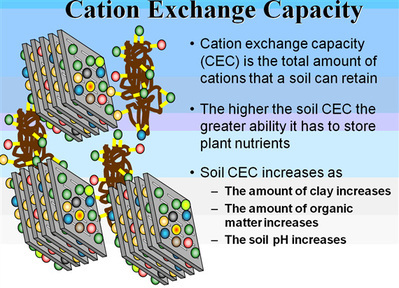 Neither is the T-value similar to the cation exchange capacity (CEC) since the first mentioned includes all cations in the soil, those on the exchange sites and the free nutrients – the T-value is therefore often larger than the CEC. 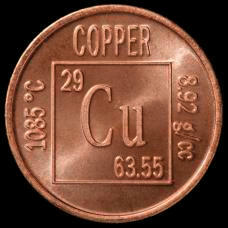 Copper (Cu) is an essential metal for plants. Its availability for plant uptake is affected by soil pH, being lower at high soil pH. At excessive levels in soil, micro-organism activity is adversely affected. In plants, copper plays a key role in photosynthetic and respiratory electron transport chains, cell wall metabolism and stress protection. Zinc (Zn) is an essential micro-nutrient for plants. Usually, a zinc deficiency is expected in calcareous (high pH) soils, sandy soils and soils with a high phosphorus concentration. Zinc deficiencies in plants leads to stunting of growth, chlorosis and smaller leaves, increasing crop maturity period, sterility and inferior quality of harvested products. A good number is 1.5 – 2mg per kg. Our score of 7.9mg per kg for our sandy soil with a high pH is a strange reading and before it is brushed off that we have enough zinc, another soil sample should be taken. I’m nervous to remineralise our soil on my own without a consultant and I shy away from chemical fertilisers as I want to encourage effective microorganisms and earthworms so I am adding as much organic matter and compost as I can. I have already noticed a huge difference since I added my first mulch layering last year. 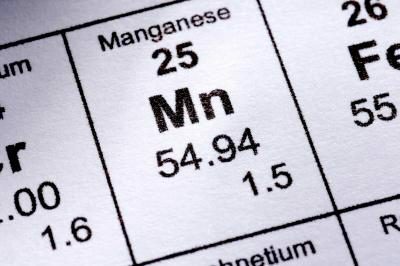 Manganese (Mn) is an essential micro-nutrient for plants. Manganese reaction in soil is quite complex. The amount of available Manganese is influenced by soil pH, organic carbon content, moisture and soil aeration. Manganese availability increases as the soil pH decreases, with toxicity being common in soil with pHKCl < 4.5. In plants Manganese plays a direct role in photosynthesis because it is involved in chlorophyll synthesis. Ideally we would like a scoring of 12 – 15mg per kg. 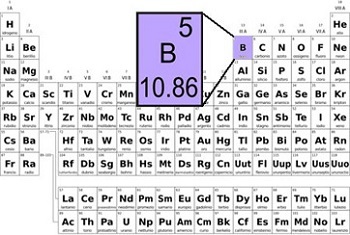 Boron (B) is an essential micro-nutrient for plants, but the range between deficient and toxic boron concentration is smaller than for any other nutrient element. One of the most important factors affecting the availability of boron in soils is pH. With increasing soil solution pH, boron becomes less available to plants. Therefore, excessive application of lime to acid soils can result in boron deficiency symptoms in plants. The main functions of boron in plants relate to cell wall strength and development, cell division, fruit and seeds development, sugar transport and hormone development. Between 1 and 1.5mg per kg is good. We definitely have a boron deficiency and that is also indicated by small holes in our radishes and beetroot. Organic carbon (C) in soil is an indication of the organic material content of the soil. Organic matter in soil improves microbiological activity, soil water holding capacity and fertility (cation exchange capacity) as well as soil structure. Less than 0.5% is low, between 0.5% and 1.5% is medium, 1.5% – 3% is high and anything above 3% is very high although I have read that your goal should be at least 5% organic matter. Lets get started! The bottom box does not need to be drilled. This is where you will collect worm tea which when diluted with water will act as a liquid fertiliser for your plants. Put 2 bricks in the bottom box so that when the second box goes into the first box, it is slightly raised. Put the second box into the first box and let it rest on the bricks. Draw a line around the second bin on the outside where the two boxes meet. This is to guide you when drilling holes. Take the second box out and drill a pattern of holes about 50mm apart from each other all around the box including the base. Don’t drill holes above the line that you drew. Repeat the same process for the third box. Stack the second box into the first undrilled box and let it rest on the bricks. Put 2 bricks into the second box and stack the third box into the second box. Fill your third box about halfway with shredded newspaper/carboard/paper (avoid glossy paper or glossy cardboard) Add some kitchen scraps and compost that has been soaked in rainwater and add your worms. Tuck your worms in with wet newspaper and roll up some damp newspaper to seal the sides of the box all the way around. This will avoid a flies coming in and interfereing with your worms. Lastly, put the lid on top as your worms like the dark. I never thought much about worms until I started gardening and have learnt that worms have an amazing ability to bring enormous fertility to the ground. These little invertebrates mix soil by moving up and down and wherever they go, eating organic matter like rotting plant material, manure, and deceased bodies and then depositing nutrient rich worm poo into the soil known as castings. Castings contain five times more nitrogen, seven times more phosphorus and eleven times more potassium than ordinary soil. While these blind but light sensitive worms squirm around, they loosen and aerate the soil which allows better penetration of water and also allows aerobic bacteria and oxygen to get to plant roots. Looser soils allows plants roots to penetrate deeper and access more resources as well as provide more draininge. Earthworm’s bodies are coated with a sticky mucuous called coelomic fluid and this fluid mixed with the bacteria in their castings bind soil particles together forming soil aggregates. This prevents soil erosion and retains water. Healthy soil means healthy plants which are more resistant to diseases and garden pests. Worm castings hold nutrients so they are released slowly to plants and the nitrogen is also readily available. One way to encourage these hard working composters is to mulch well, avoid herbicides and fungicides, and keep the soil moist. The thick layer of mulch will help loamy soil retain water well. Worms don’t like acidic soil so ensure your soil pH is above 4.5 and avoid compacting the earth by providing walkways around your plants and keep tilling to an absolute minimum unless you really have to. Another great idea is to start a worm farm and we will show you how to build a simple structure below. Worm farms turn kicthen waste into super compost without letting off greenhouse gases which saves the landfill and ultimately benefits the planet. There are some things to know before you provide a home to red wrigglers (Eisenia fetida) or redworms (Lumbricus rubellus). They are top level worms meaning they live in the top 30cm of soil. This means they will live near the top of your worm farm making them easier to feed. They eat the equivalent of their body weight in a day thus providing the same amount of worm castings. Their environment should be kept withiin 15 degrees and 30 degrees. They can double their population every 6 – 8 weeks and they need bedding made from wet newspaper or wet shredded paper and cardboard. It’s also good to know that worm bins don’t smell so you can keep them indoors as well. Did you know that the largest earthworm was found in South Africa in 1967 on the side of the road near King Williams Town and was close to 7 meters long? That’s a mouthful but there are so many other words that could be easily slotted into this title. We will expand by explaining how growing your own food will shine your green halo so brilliantly, it will light the way for others to be inspired. I am not surprised that many religious texts and spiritual writings refer to planting and growing. One experiences a little piece of magic when you enjoy the fruits of your own labour from seed to plate. I cannot think of a more meaningful workout than gardening. Not only does it exercise and build muscles but it is good for your brain and the rest of your body too. Planting greenery brings you out into the fresh air where vitamin D doesn’t need to be swallowed. It stimulates learning and a deeper connection with nature and it has bountiful therapeutic qualities. The garden is a superb environment to reconnect with nature from the tiniest microscopic organism to the largest wildlife you can accommodate. It doesn’t matter whether you have a large piece of land or just a balcony or enclosed flat, you can still enjoy the healing properties. It relieves stress, it is often a meditative process improving concentration, increasing self awareness, happiness, acceptance and overcoming pain. With some care and attention, your efforts will also bless you with a sense of pride and gratification. It’s a marvellous creative outlet with endless ways to create beauty and self expression and it can also introduce new interests like botany, landscape architecture, nutrition, photography, naturalism and farmers markets to mention a few of many. Add to the already impressive benefits above, it is purposeful way to spend quality time with loved ones and create a sense of community by connecting with others close by to bulk buy, share information, advice and accomplishments. Home grown food tastes better and if you grow heirloom (non GMO/non hybrid) varieties in a biologically diverse environment in soil fed with nutrients, your food will be more nutritious.You will also be able to save some seeds from your crops to use for next year. Ta dah! When you save the seeds, you can also swap them for different varieties that you may not have. This is a very important aspect and a right to which we must cling on to for dear life. To read more about why – you can read our previous story about seed biodiversity here. Growing your own food becomes cheaper and cheaper as you learn more and practice sustainable gardening. 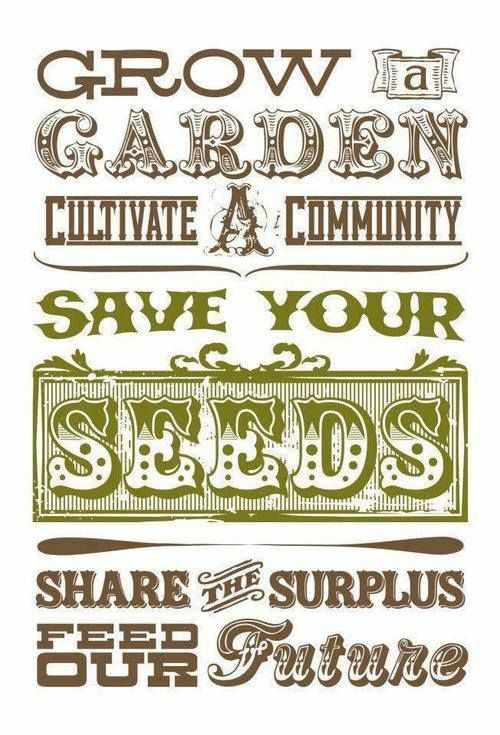 As explained above, you can save heirloom seeds for re-use or to swap or gift which means you buy less seeds as your collection grows. There is huge potential to be grow a wide variety of fruit, vegetables and legumes that your local grocery store has never stocked. There is no fresher vegetable than one that is still growing in the ground which means less fridge space and obtaining food is a walk through the garden. This act inspires us to take an interest in the origins of our food and make better choices about what we put on our plates which is a part of conscious eating. Eating more fruit and vegetables can only be a good thing when it concerns your health and the sense of security of knowing whose been near your delicate spinach leaves is invaluable. The blooms of flowers that will turn into fruit are gorgeous to look at and one can enjoy the sweet perfumes they emit. There is something very special when you are relaxing in your garden and nearby are hanging grapes or crisp cucumbers, striking red leaves of beetroot or even the flowers from potatoes reminding you of the treasures below. Imagine sitting in the shade of a fruit tree whilst reading a book or watching your loved ones play. You have been showered with the benefits of gardening for you but let us take a closer look as growing your own food solves many other environmental concerns. You cut out many carbon emissions by not supporting trade where food is transported to the grocery store by trucks and planes and the fuel you would use driving to the grocery store and driving back again. In a natural system, living things die and their deaths allow life to be reborn. Plants and other living things die on forest floors and in meadows, and are broken down over time by water, microorganisms, sun and air. Compost has two main functions. It improves the structure of the soil, which makes the soil easier to work, providing good aeration and water retention characteristics. It also makes the soil more resistant to erosion. Compost also recycles and provides nutrients for plant growth. In addition, its organic acids make nutrients in the soil more available to plants. Carbon, nitrogen, magnesium, sulfur, calcium, phosphorus, potash and trace minerals maintain the biological cycles of life. Fewer nutrients leach out in soils with enough organic matter. If soil only consisted of rock meal, it would be infertile. The fertility depends on the amount of organic matter or humus present in the soil as well as the effective micro-organisms and soil nutrients. Healthy soil means healthy plants and healthy plants are more resistant to diseases and insect attacks. Ensuring you have fertile soil is a far better way to grow food than using poisons that kill beneficial soil life. Composting is simply speeding up the processes that occurs in nature and it involves some fundamental principles. These principles are the provision of air, moisture and warmth in order to create an ideal environment for the fungi and bacteria that are responsible for the decomposition and breakdown of the raw materials. There are many methods of making compost heaps and different recipes for layering your pile. Spring and Autumn are ideal times to make a compost heap as biological activity is high during these periods and it should not be too hot nor too cold for microbial life in the pile. We thought it would be a good idea to include this article to give you time to make before the onset of Spring. Many households throw away things that can be turned into this black gold and this is why we are about to explain how to build a simple and effective compost heap. You don’t need any fancy equipment or containers, however you may use them if you wish. 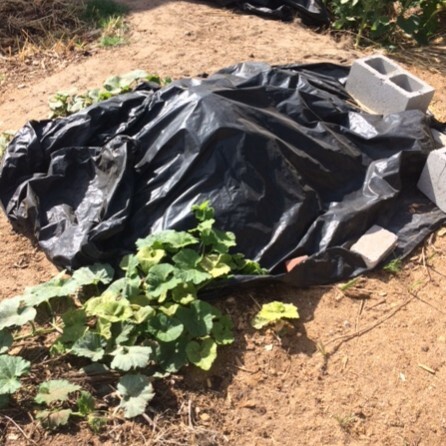 It is also a good idea to build a compost pile on an unused growing bed so the next crop grown in that bed will pick up and utilize any nutrients that leached out from the pile and into the soil. When the next season comes, you can build a compost pile on another unused bed. 1. Loosen the ground, where the pile will be, to about 30cm deep with a fork or hoe. 2. Lay down brush, woody materials and other roughage for air circulation. 3. Add about 5cm of mature material like dry weeds, leaves, straw, hay and old garden wastes. Water it thoroughly. 4. Add about 5cm of immature material like fresh weeds, grass clippings, hedge trimmings, green cover crops and kitchen wastes you have saved. Water well. 5. Cover lightly with about 1 or 2cm of soil to prevent flies and odours.You will want to do this straight after adding the immature material. Moisten the soil. 6. Add new layers of mature vegetation, immature vegetation and soil. Water the pile regularly until it is ready for use. You can also cover your compost heap to protect it from too much rain or too much sun. 7. Let the pile cure for 3 – 6 months while you are building a new pile. Turn the pile once for faster decomposition. A 1.2 meter pile will reduce to 30 – 40 cm when it is ready to use. When you turn the compost pile, make the base of the new pile smaller than the original base to give the turned pile more internal volume and less surface area. If you are not ready to use your compost when it is fully cured, stop watering it and spread it out to dry. Always be sure to add at least 3 different kinds of crops to your compost piles. Different microbes flourish in specific kinds of crops. The result of this crop diversity is microbe diversity in the soil, which ensures better soil and plant life.